Phone Ninja is a phone repair shop that services all kinds of broken phones including the Lumia 1020. No matter what your issue we can probably fix your phone. We have replacement parts in stock and can in some cases even repair your phone on the spot! If you have broken just the screen of your Lumia 1020 phone thanks to our technicians we can replace just the screen at a lower cost. This will fix Lumias with picture, display and touch screen issues and we will replace the whole screen with a new high quality part for an affordable price. If you choose to visit any other store you will end up spending more money than you would spend on repairs at Phone Ninja. Copyright 2016 Phone Ninja, All rights reserved. All other trademarks & copyrights are owned by their respective owners. We are an independent phone repairer and not affiliated with Nokia Inc. or Microsoft in anyway. 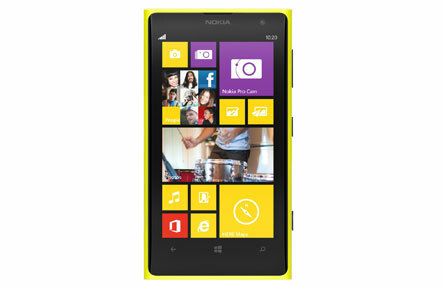 All our Lumia , Nokia and Microsoft repairs use compatible or refurbished parts only. None of our repairs, products, or parts are official nor endorsed, authorized or refurbished by Lumia , Nokia and Microsoft.